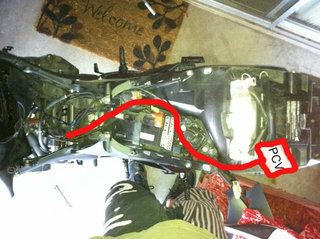 Step 2: Remove gas tank. You don't have to but I found it much easier to work without it on and it takes about 4 mins to take off and saves some stress. Just remember what plugs and hoses go where. You bike should now look like this. 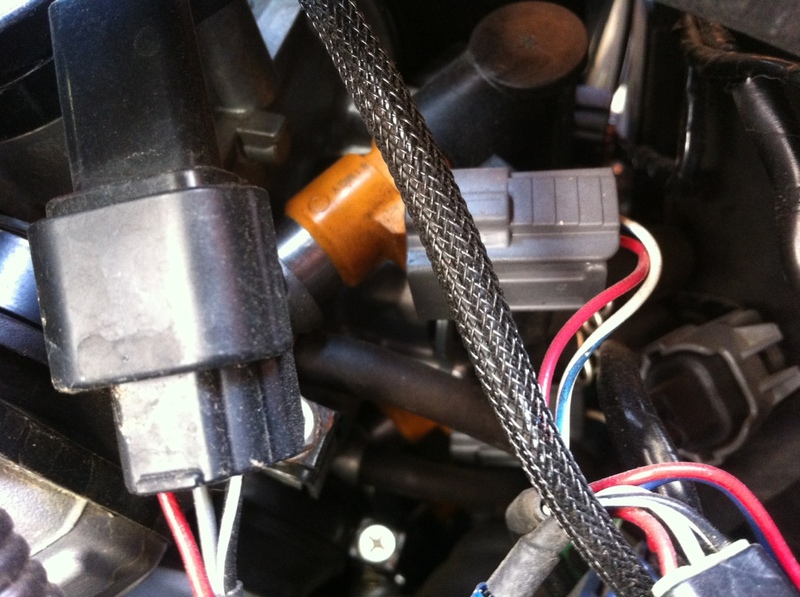 Step 4: Disconnect the 4 gray plugs that are attached to the brownish color port. Pic below is view from clutch side. 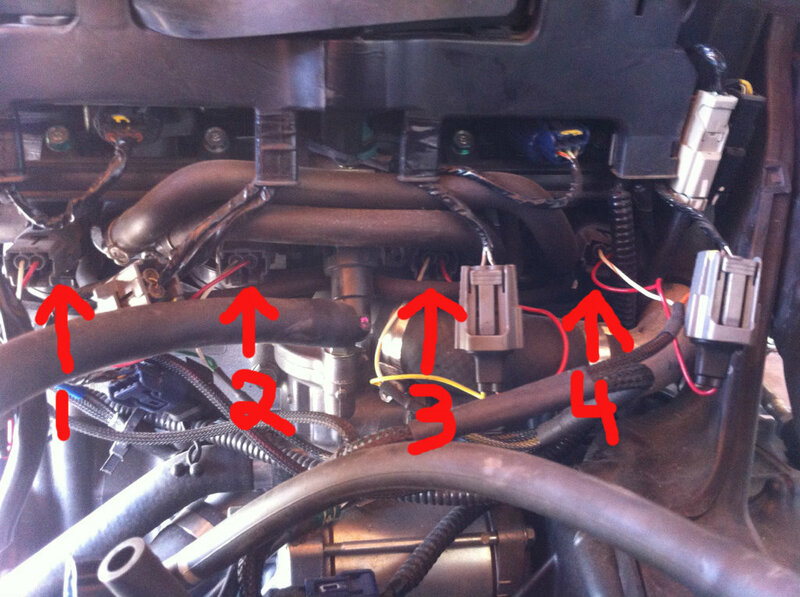 This is where the 4 plugs are located. Once you have disconnected those wires you will connect your PCV to the brownish ports, and then plug the wires that came off the ports to the PCV wires. 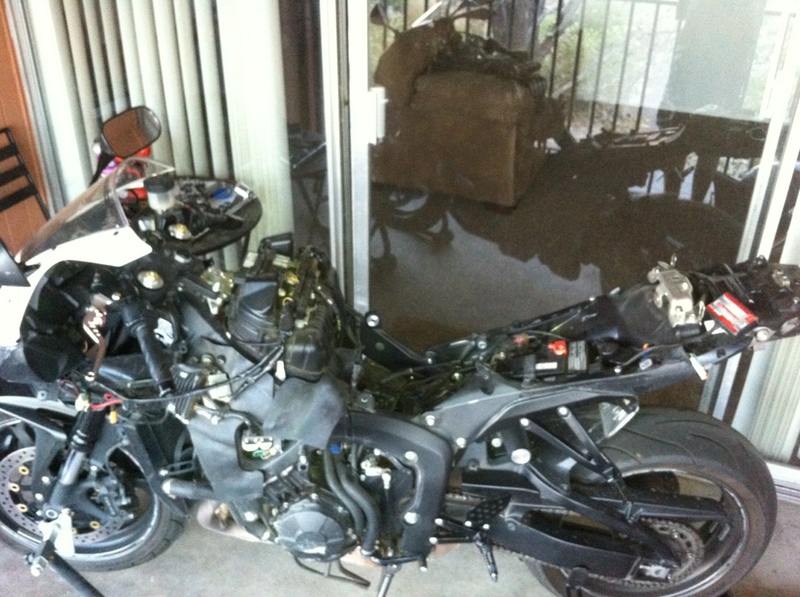 Put your tank and fairings back on and give it a test ride. Last edited by CBRfenatic93; 06-21-2012 at 09:32 AM.